I don't think Andrew Jackson or Fidel Castro was/ are Masons. Andrew Jackson had two attempted assassinations because he killed the central banks. Fidel has kept corruption out of his country for 50 years. Might want to check your sources on those. Being a Freemason doesn't mean being corrupt. It's the organization itself and the Vatican/Royalty who control it who are corrupt. JFK was a great President and hero, but he was also a Mason from an Illuminati bloodline. When you step out of line, you are made an example of. Luckily for Andrew Jackson, both guns misfired. JFK wasn't so lucky. 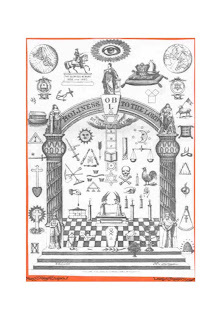 The first clue the erroneousness of this post is the reference to Morals & Dogma and the further reference to Albert Pike as the Supreme Pontiff of Universal Freemasonry. Simply put, There is no such thing as Universal Freemasonry and there is no such title as Supreme Pontiff, nor has it ever existed. Albert Pike was many things. He was a lawyer, a poet, a philosopher, a politician and self made expert on ancient religions. 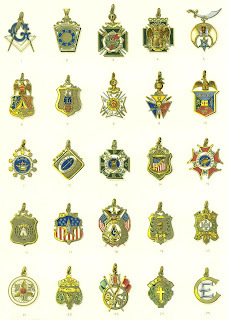 He lead the Southern Jurisdiction of the Scottish Rite only. Few outside the Southern Jurisdiction of the Scottish Rite have ever heard of him or his Opus, Morals and Dogma. Which is a thesis of Ancient religions and Masonry combined. The real tip off is that the book is prefaced by a statement that anyone who reads it is free to disregard anything or all of it. The Supreme Pontiff crap came from the Taxil Hoax, an admitted hoax by it's author and a known pornographer, not to mention over 100 years old. Which he wrote to make the Catholic Church look silly and used Freemasonry for the bait. 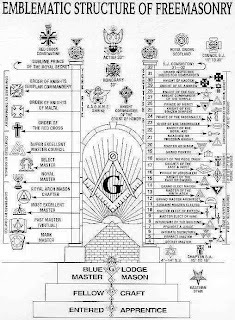 As for you list of Masons, well Fidel Castro, Gorbachev, Saddam Hussein were NOT Freemasons and thats just for starters. 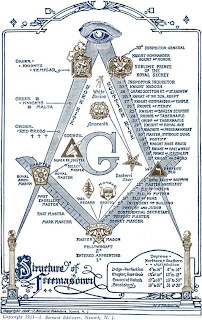 Weishaupt, Lenin, Stalin, Clinton also none were Freemasons. Freemasonry cannot exist in a state where despotism or totalitarianism rule. Because Freemasons believe in tolerance and equality, those ideas are seditious under those regimes. 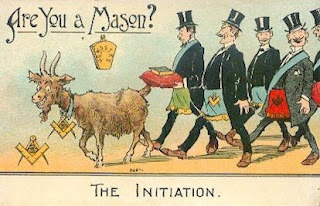 In essence you have managed to quote every rumor monger and outright lier when it comes to Freemasonry. Texx Marrs? Please he is as paranoid as they come. All his claims have been debunked. Jim Marrs at least appears sane so I will have to assume he is just trying to make a buck with his unsubstantiated claims. Lastly Manly P. Hall was not a Freemason when he wrote about it at the tender age of 21. He did eventually become a Freemason, 35 years later. But he is hardly regarded as a authoritative source on Freemasonry, even by Freemasons. He also was a self avowed mystic and philosopher. No one person speaks for all Freemasonry, that the way it is and the way it will be. If you want to read a good book about the facts, read A Pilgrims Path by John Robinson. Weishaupt became a professor of canon law, a position that was held exclusively by the Jesuits until that time. The Enlightenment Era connects directly to Jewish Enlightenment. The names of the parents can verify that they were Jewish. All roads go beyond Rome, because Rome was Christianized. Who Christianized Rome, if Christianity Began in Rome? Rome was the center of the Celtic Civilization which was Warped by the Zealots as a poisonous war tactic. They are the Same people who owned the British East India company, and began the Slavery at a global level as well as destruction of the planet. This evil poison has taken a massive demonic corrupted face of NWO to feed off the life force of the good people by the Demons known as Zealots. The destroyer of Confusion is finally here! Coincidence.... 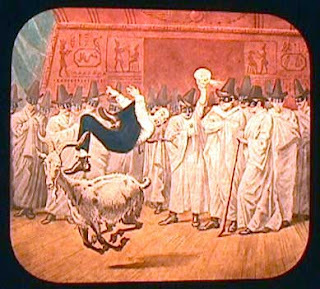 There is Masonic Goat Riding Ritual and a Knight of Colombus Goat Riding Ritual. Maybe both are secretly related. 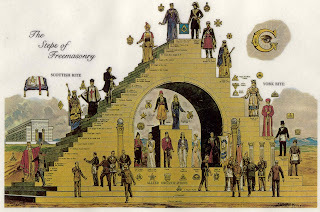 I saw on another conspiracy site, that a secret Roman Empire would be TPTB so maybe both secret societies are control by Rome..
After all the York Rite last degree is Knight Templar, which represent the order of Rome that started the crusades. i saw that in the All Roads Lead to Rome document by ProtoplasmicTraveler. I see some people like to polarize this whole Freemasonry issue. How about a better idea? We don't get bogged down in pitying or condemning the lowly Masons, and instead focus on fixing up our inner lives? What good does it do to bash and grapple at phantoms whom we have no influence over? This post is correct. Most of those posting here are either FreeMasons themselves or Roman Catholics. Albert Pike planned two Russian Revolutions and three world wars to take place in the 20th Century all before 1871. In a letter dated August 15, 1871 he details those plans to Mazzini, Freemason/Illuminati on each plan. The details were projected by each generation of Jesuit/Illuminati family. The naysayers about the validity of this post are dead WRONG and biased. Ancient Egyptian beliefs are but to Spiritual enslavement.